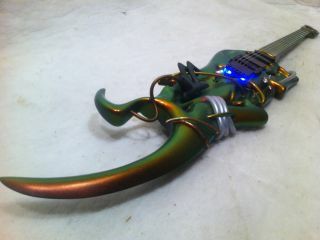 Some day, all guitars will look like this. You couldn't get enough of Steve Vai's new Emerald Ultra Guitar in August, and you were also keen to discover the names of the 20 richest drummers in the world. Elsewhere, Billy Gibbons talked us through ZZ Top's La Futura album, and as a certain major sporting event took place in London, we applauded the skills of 20 of the fastest guitarists in the world. Which soft synths are top banana in the studio of this techno innovator?